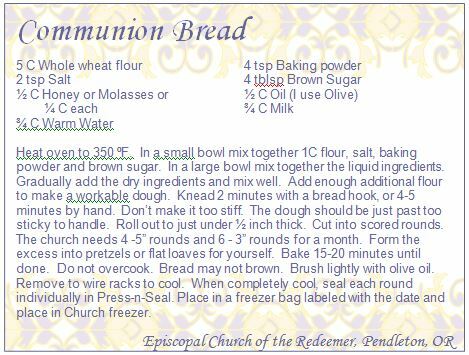 The recipe we use for the Communion Bread is tasty and easy. We have custom locally created cutters / scorers to make the process of making the loaves easy. 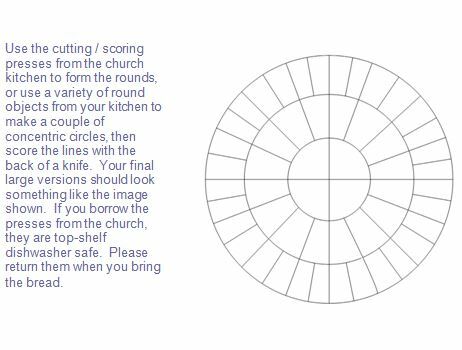 Guild members are encouraged to borrow these from the Church kitchen when it is their turn to make the Communion bread. They return them when they bring in the bread. Each batch makes enough for a typical month. Please plan to make a batch prior to the first Sunday of the month for which you are scheduled.